Peter Schwarzwälder was born in Berlin on 29th May 1957, and graduated in historical-political studies. Today, Peter is a skilled craftsman in the sanitary-ware installations industry and managing director of a business founded by his grandfather in 1913. 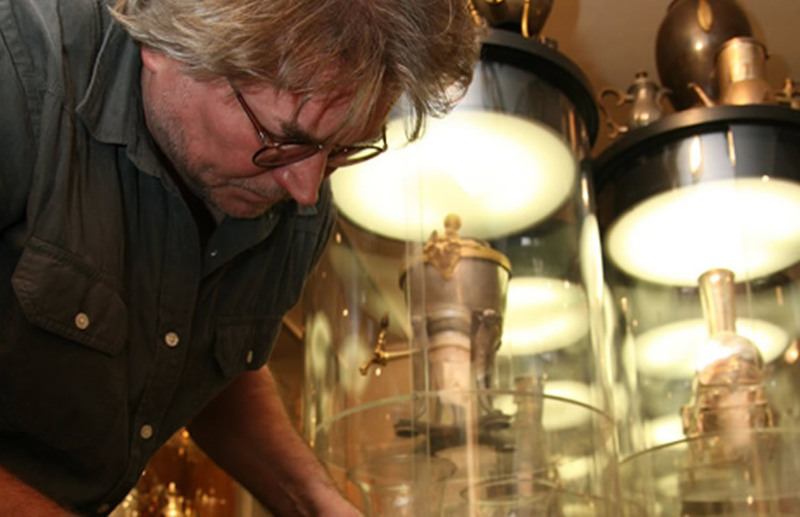 He has been a keen collector for over twenty years, and is the creator of a unique, exhaustive collection of coffee machines which includes over a thousand items, proving his interest in design, technology and craftsmanship. His private exhibition was opened in 2007 and is organized in order to provide visitors with an overview of coffee processing over the centuries and across different cultures. Visitors can also see the very first texts written about the topic in his house-museum, as well as several articles and advertising materials about his beloved beverage.